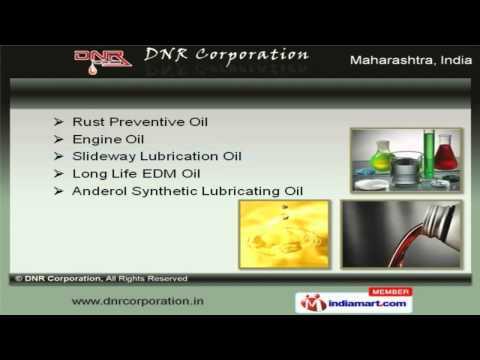 Welcome to DNR Corporation, Manufacturer and Supplier of Automotive, Industrial Greases and Oils. The company was incepted in the year 1993. State-of-the-art infrastructure and in depth knowledge make us different from others. Hindalco Industries Limited and Bal Krishna Dyers are some of our elite clients and we are backed by Easy transaction process and stringent quality checks. We offer a vast range of Cutting, Spark Erosion & Rubber Processing Oil. Our Engine, Rust Preventive and Long Life EDM Oil are superior in performance. We offer Industrial Compressor and Synthetic Technology Edm that are in huge demand across the global markets. Four Stroke Motorcycle and Dielectric EDM Fluid offered by us are some of our best selling products. Along with that we offer HPCL Engine and Industrial Compressor Oils that are available at affordable prices. We also provide Straight Cutting Oil for Textile & Aluminum Machine Cutting Oil for Steel Mills that are extremely reliable.